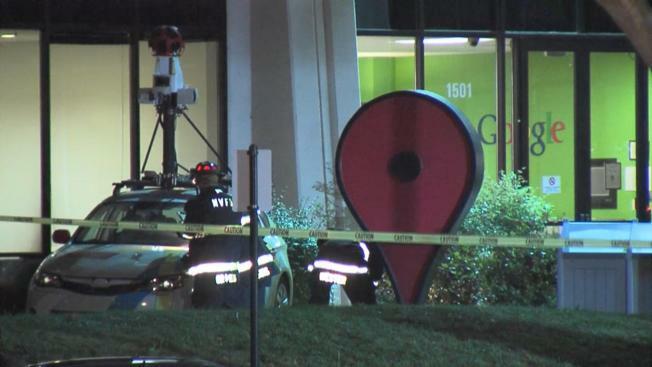 Mountain View police are looking into who set off two incendiary devices at the Google West Campus 4 building late Thursday night, which sparked a small fire that spread to a Google Earth demo car in the parking lot. Police spokeswoman Katie Nelson said firefighters were called to the campus in the 1500 block of Salado Drive just before 11 p.m. to put out a fire. Firefighters noticed a small section of ground, and a small section of a building, had been singed by a fire. A Google Earth demo car, parked in front of the building, had minor, superficial damage, she said. Two incendiary devices found at the scene and sent to a lab for testing, she said.